Since marrying Prince William, Kate Middleton’s weight has been the subject of intense worldwide scrutiny. Over the past year the 30-year-old has dramatically shrunk in size, with many accusing the her of being too skinny and a bad role model. But Kate stepped out with her sister Pippa last night at charity fundraiser The Burlington Bazaar in central London looking significantly fuller-figured (though definitely still slim!). 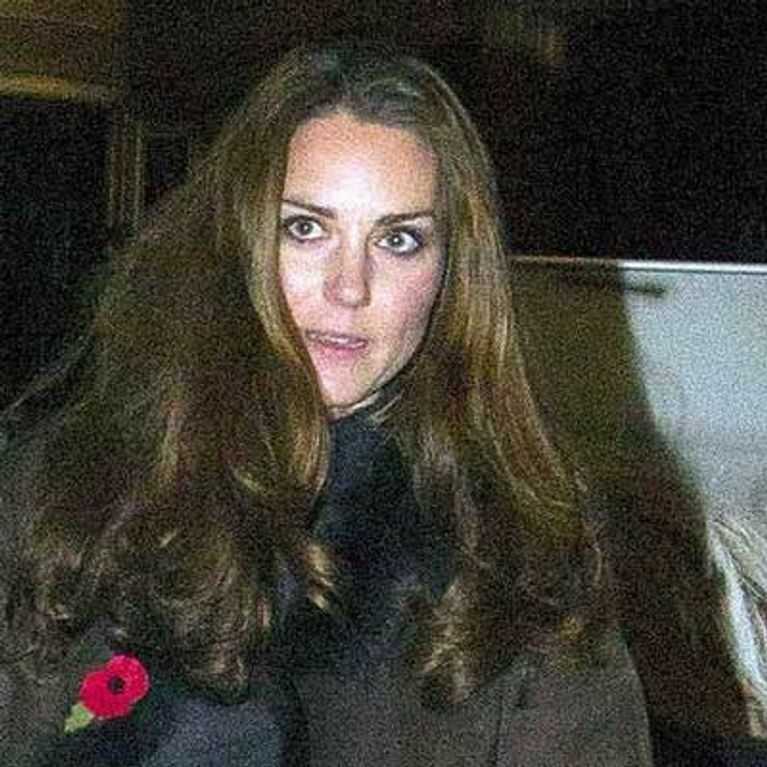 Both the sisters dressed low-key for the cold November evening with Kate sporting dark blue skinny jeans, brown suede knee-high boots, a black knit and a brown suede fur-trimmed jacket. Similarly Pippa was wrapped up warm in skinny jeans, black suede knee-high boots, a dark blue leather jacket and patterned blue scarf. Kate had brought along her cocker spaniel puppy Lupo to the charity event at the Burlington Arcade in Mayfair, which was held in conjunction with Country & Town House magazine to raise money for the Ormiston Children. In recent months the girls have rarely been seen together, despite having a very close relationship. Pippa has been busy promoting the release of her debut book Celebrate: A Year Of British Festivities For Families And Friends, while Kate has been getting stuck into her duties as a patron of numerous charities. While Prince William is away with the armed forces, Lupo and Pippa seem to be keeping Kate company, although her new fuller-figured look has led many to suspect that the Duchess may be pregnant. It’s no secret that the young royals are keen to start a family, and back in September one publication came under fire for allegedly doctoring photos to give the impression of a baby bump. So far the Royal Family have refused to comment on baby matters between Prince William and Kate, but could this be the first indication that their family is about to expand?